Depending on the installation situation and intended use of the sensor module, its design will differ; for example, due to the required IP ingress protection, moisture protection, desired thread or clamp connection, electrical connections, etc. 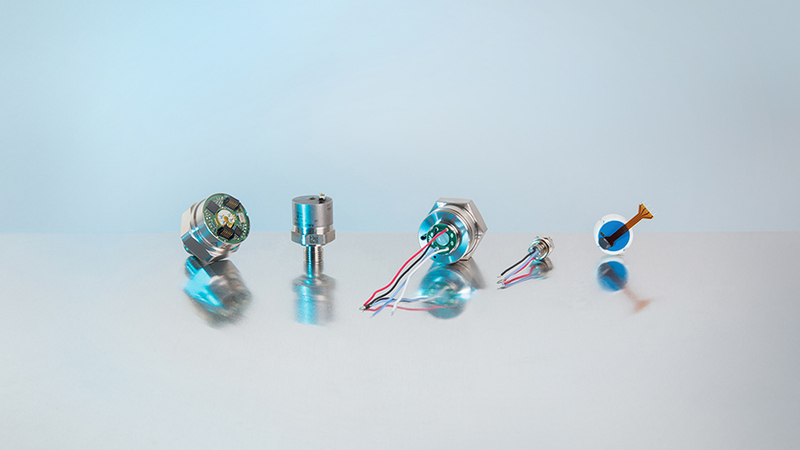 For pressure sensors with which a protective housing is not possible or desired due to the space available, it must be ensured that the electrical connection such as soldered joints or electronic components are not damaged during installation. A suitable design should be developed in close cooperation between customer and pressure sensor supplier. This will also mean that the packaging concept is matched to the best protection of the pressure sensor or sensor module. When the sensor is clamped in the customer application, particular care must be taken to ensure that this does not affect the sensor signal due to the resulting stresses in the sensor element. The supplier of the sensor element or sensor module can support this with installation instructions. A mechanical connection using a thread is less critical here, but is usually also linked to greater space requirements and possibly higher costs for the customer. A pressure sensor module should usually be as compact as possible. This also means that there is often no room for specific EMC measures. Appropriate EMC protection must be provided by the customer within the application. For example, it should also be ensured that, due to the relatively small signal of 2 mV/V in metal thin-film sensors and ceramic sensors, the cable path to the downstream electronics is minimised or, for longer distances, at least a shielded cable is provided. Generally, a provision for minimising disruptive effects must be implemented in the final application by the customer. Even with pressure sensor modules, depending on the output signal, a maximum cable length must be observed. Digital signals such as I²C are much more sensitive than voltage signals (e.g. 1 … 10 V) or current signals (e.g. 4 … 20 mA). Further information on our pressure sensors can be found on the WIKA website. If you have any questions or if you need detailed advice on pressure sensor applications, please consult your contact person.